Kobo has got in ahead of rival Amazon’s anticipated Kindle refresh to update its own line of reading-centric fondleslabs and e-readers: among them is a ten-incher with a monster 2560 x 1600 resolution - that's bigger than many a desktop monitor here in Vulture Central. 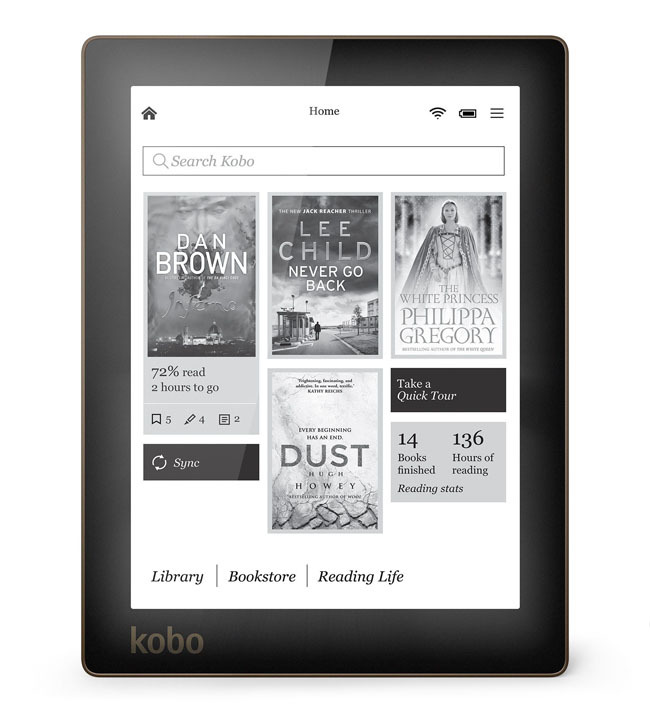 This is the Arc 10HD tablet - ‘Arc’ being Kobo’s brand for its Android 4.2.2-powered devices - though like other e-booksellers’ hardware, the Google OS is buried beneath a dedicated user interface; this one called “Reading Life”. Kobo loses points for describing its interface as a “user experience” but it wins a thumbs-up for letting you prevent notifications and such popping up while you’re trying to concentrate on your book. Kobo’s Arc 10HD: 2560 x 1600, 302dpi display, anyone? This “Reading Mode” also boosts battery life by tweaking the backlight, thus upping the per-charge runtime from 9.5 hours to at least ten days - or so Kobo claims. The 10HD’s other unique selling point, we're told, is its use of an Nvidia Tegra 4 processor running its four main cores at up to 1.8GHz when you need some wellie for gaming and high-def movie playback. It'll drop down to one core for everything else to help eke out the battery life - it’s this, presumably, that Reading Mode makes use of. The 10HD also includes a front-facing 1.3MP webcam, two speakers, 2GB of RAM, 16GB of storage (but no expansion slot), Bluetooth 4.0 and Miracast connectivity so it can stream video over its Wi-Fi connection. This slab will set you back £300. Aura - last fling for Kobo e-readers? Meanwhile, the new Arc 7HD tablet has a 1.3MP webcam, just like the 10HD, but it has to make do with a Tegra 3 peaking at 1.7GHz and only a gig of RAM. Its 1920 x 1200 display resolution is none too shabby for a seven-incher. It’ll cost £160 for the 16GB version and £190 for the 32GB model, and ships on 16 October - the same day as the 10HD arrives. 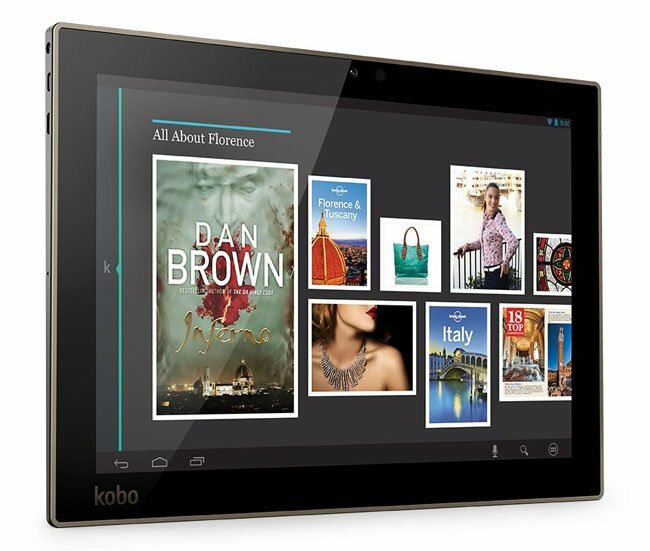 If that’s too much, Kobo will also offer the £120 Arc 7, with a 7-inch, 1024 x 600 screen and a 1.2GHz MediaTek chip.